The UNCTAD World Investment Forum is the pre-eminent global platform for investment and development. The Forum devises strategies and solutions for global investment and development challenges. It facilitates multi-stakeholder collective action to stimulate investment in development. 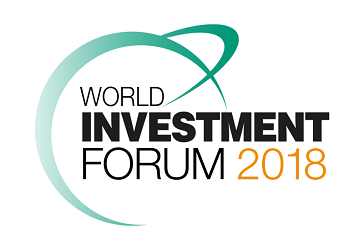 The Forum offers a unique opportunity to influence investment-related policymaking, shape the global investment environment, and to network with global leaders in business and politics, it biennually gathers more than 4,000 investment stakeholders from 160 countries. Better Finance will be represented in the Blended Finance panel, highlighting the investment work with institutions on innovative structures to achieve impact and financial outperformance, alongside panelists from GIIN, UBS, Symbiotics, Blue Orchard, EIB, and UNCDF. How can blended finance help to mobilize and scale up private and commercial resources for sustainable development and climate action in developing countries? Which types of blended finance instruments are currently in use? What are lessons learned from different approaches to blending, monitoring and evaluation? Investment in climate-smart agriculture offers, at this point in time, unique opportunities across the value chain to address the SDGs. This article explores the promise of impact-investing in agrifood, a crucial sector for sustainable development. Read it here, authored with Climate KIC Head of Climate Smart Agriculture, Pan Pan. May 2018 in Frankfurt: As part of Founder Tenke Zoltani's work with UNDP, she presented in several fora during Innovate 4 Climate on innovative finance for development outcomes. Held in Frankfurt from 22-24 May 2018, the second edition of I4C saw finance, business, technology and policy leaders meet to drive climate investment. Climate action at unprecedented speed and scale is essential for making the investments required to avoid the effects of a 2 degree warmer world and meet the Paris climate commitments. In a world of constrained public resources, traditional forms of concessional finance will not be sufficient to fund the investment required for a transition to a low-carbon future. Scaling up and accelerating access to finance – from multiple sources, as efficiently and effectively as possible - to redirect the trillions of dollars sitting in unproductive, low yielding as well as unsustainable investments towards longer-term, climate-smart investments will be key. April 2018 in Geneva: Better Finance featured at ESAFON Family Office Conference in Geneva. ESAFON objectives are to promote the cooperation between Switzerland and Europe and to facilitate the exchanges between professionals in the area of Asset Management & Family Wealth Management, to allow its members to discuss together and to implement the new regulations and the best management practices, with an objective geared towards harmonisation and transparency, in a long term perspective. The ESAFON objectives are also to increase the scale and effectiveness of impact investing. January 2018 in New York: Private event conservation finance hosted by Credit Suisse in New York. This private forum brought together the most significant investors and advisors in the conservation finance space, including Better Finance, who has a long track record of advising on conservation impact. The objective of the convening was to look at progress in scaling up conservation investments including some global innovations. Topics that were discussed included corporate approaches to conservation investing, a new partnership to create a pipeline of investable deals, conservation fintech solutions, innovative financing approaches to improve life on land and climate-smart coastal resiliency investing. Better Finance is thrilled to be part of the Social Good Summit in Geneva this year as convener and participant--working with the entrepreneurs who will be pitching as well as facilitating investor discussions. 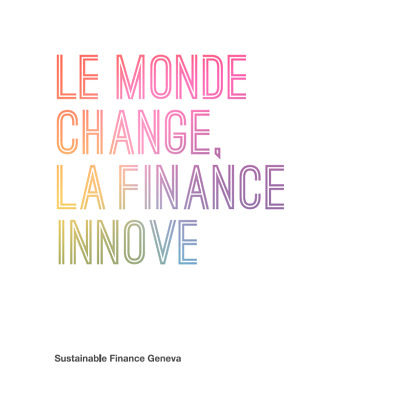 25 Sept: Launch of "Le Monde Change, La Finance Innove" or "The world changes, finance innovates"
Better Finance's contribution to this new book published by Sustainable Finance Geneva celebrates the leading financial innovations for sustainability stemming from Switzerland. Better Finance's Tenke Zoltani is featured. See details here (in French): https://www.investir.ch/2017/09/monde-change-finance-innove/ Receive a copy of the book by contacting Sustainable Finance Geneva www.sfgeneva.org/ "SFG, 25 partenaires, 40 experts, 10 changements globaux, 60 innovations financières, rassemblés dans un livre pour promouvoir la finance durable. Convaincu que la finance de demain se prépare aujourd’hui, Sustainable Finance Geneva (SFG) a réuni 25 partenaires et 40 experts autour d’un projet commun: promouvoir la finance durable à travers un livre présentant 60 innovations financières face à 10 changements globaux. Aujourd’hui justement, l’ensemble du secteur financier est en mutation. La société fait face à de grands changements globaux qui la transforment, souvent de manière disruptive, avec des conséquences planétaires. Parallèlement, le profil des investisseurs évolue avec l’arrivée des «millennials». D’un point de vue économique, financier et culturel, cette génération a un rapport aux banques très différent et transformera inévitablement le secteur financier en profondeur." We were thrilled to be a part of this year's Mass Challenge in Switzerland, as both the keynote speaker on "Fast Track to Impact Investing: What’s in it for Entrepreneurs?" and on the entrepreneur selection panel. Each year, MassChallenge awards up to $2m in equity-free cash prizes to help high-impact startups succeed. "We are the most startup-friendly accelerator on the planet." As part of Sustainable Finance Geneva, Tenke Zoltani will speak at the Milan Expo 2015 on feeding the world sustainably. Invited by the City of Geneva on the occasion of Milan World’s Fair 2015, Sustainable Finance Geneva unites experts from Geneva’s unique financial ecosystem. This year's theme, "feed the planet, energy for life," is dedicated to modern and sustainable strategies in agriculture. The 145 countries participating present their futuristic innovations in spectacular displays. Zoltani's panel is entitled 'FROM FARM TO FORK:WHY AGRICULTURE NEEDS INNOVATION IN FINANCE'. Sustainable Finance Geneva is an association of investment professionals. Launched by 17 professionals at the forefront of the industry in 2008, today, the association boasts some 250 members and numerous institutional partners. SFG’s objectives are focused on two key areas: 1)Raising key financial players’ awareness about responsible investment solutions through different information channels (studies, conferences, exchange of best practices, training sessions, internet site, newsletter, social media…); 2)Promoting the Swiss and Genevan financial centers. SFG has progressively become the reference platform in Switzerland in matters of sustainable finance. It has established a dialogue with Genevan and Swiss institutions, as well as political and academic institutions. Zoltani is now a member of the Executive Bureau and Strategy & Surveillance Committee. The Executive Bureau is in charge of the association’s operational management. It is comprised of a maximum six people, including the Vice-President and the Managing Director. The Strategy & Surveillance Committee (S&SC) is comprised of specialists from different sectors within sustainable finance. There is a 2-year rotating presidency within the S&SC. The S&SC defines the association’s strategic goals, while the President is the association’s spokesperson for the public, the media, and partners. Other duties include taking part in the GA. A General Assembly is held every year to present the results of the association’s activities to all members, as well as vote on the budget. A link to the other members and more on SFG can be found here. At the beginning of 2014, more than one out of every six dollars under professional management in the United States -over $6.57 trillion- was invested according to socially-responsible strategies. But, we are now moving past ESG screening strategies and microfinance investments to more innovative financial products. Asset classes ranging from commodities to private debt, have begun incorporating mission-related investing into their frameworks with a goal of improving extra-financial returns for investors. Strategies such as corporate engagement and activist investing have reached new highs in AUM while generating meaningful change within companies, for shareholders and stakeholders. 100WHF Executive Committee Member Tenke Zoltani co-organised the event, providing education on financial innovations and future opportunities from thought leaders in this accelerating space. The discussion focused on potential challenges and ways to access such strategies to diversify portfolios. Join Better Finance at Geneva's Sustainable Luxury Forum to understand the impacts of corporate value chains on the shift to sustainable, ethical luxury. Two major developments create new management challenges for brands in the luxury manufacturing sector. On the one hand, internet, mobile phone technology and social media have created new levels of transparency and global interconnectedness. Citizens today can raise attention to issues that they find unacceptable in milliseconds. They hold brands, not state actors accountable, and they expect, at a minimum, respect for human rights. On the other hand, brands often rely on complex global supply chains that are quite opaque. Lacking transparency creates risks for brands that they cannot manage. Ironically, current sourcing practices further aggravate the problem and render brands defenseless when public accusations hit. The talk will offer suggestions for how brands can operate a responsible supply chain in a VUCA environment. "More inclusive leadership can benefit both public and private organisations. So what stands in the way of diversity? A recent survey revealed that more than 40% of women identify themselves with a “collaborative” leadership style. So are the days of the old boys’ network over? A new push is being seen around the world for more inclusive leadership, characterised by shared goals, common vision and more diverse voices. But we aren’t there yet. How much have companies, organisations and governments moved away from Superman-style leadership, opaque to those not directly in the decision-making loop? That was one of the questions discussed at this year’s Global Economic Symposium in Malaysia, where experts and leaders from both public and private sectors gathered to discuss why inclusive leadership is a good thing and what prevents it from happening. Astrid Tuminez, Microsoft’s regional director of legal and corporate affairs for southeast Asia, said that rising economic prosperity in Asia had a dark side, with complex problems that needed to be addressed through diverse approaches. Tuminez, not surprisingly, felt that technology is having a big impact on the way today’s leaders manage, but delegates were divided on whether technology is more likely to encourage or discourage more inclusive leadership. For some, the always-on nature of today’s technology is disruptive and not conducive to a work/life balance, but others felt the ability to be work more flexibly was a huge boon and could support different styles of leadership to the old-fashioned idea of being always in the office. Hans-Paul Bürkner, chair of the Boston Consulting Group, said organisations around the world could benefit from mobilising all possible talent. His own company’s experience, he said, showed that it could sometimes take a while for more diverse teams to engage with one another, but the results were ultimately beneficial for the organization." Read the full article, by Jane Dudman, here. Tenke Zoltani, Fellow of the Global Economic Symposium since 2013, organised and moderated a session on channeling financing to the impact investing and venture philanthropy sectors in Asia, bringing together key actors across industries to share knowledge, debate and discuss the challenges and opportunities to come. Panelists included Ruby Shang, Senior Advisor for the Clinton Foundation, Asia; Mark Sayer, CEO of Asia IIX and Family Office Advisor; Grace Sai, Founder of the HUB Singapore and Head of Toniic Singapore and Advisor to the Malaysian Government; Kal Joffre, Director of Tandemic; and Terence Chia, founder of Blue Impact social enterprise. The full writeup and introductory video are here. As part of the Global Economic Symposium 2014 in Kuala Lumpur, Malaysia, Better Finance was invited to be a part of an evening dinner session with senior experts from some of the world's best recognised organisations to discuss inclusive leadership. The session, 'A 21st Century Challenge: Inclusive Leadership' tied together the experiences of business professionals in encouraging diversity of thought and innovation to create more equitable societies. Better Finance's Tenke Zoltani spoke on the necessity of fostering inclusive businesses, driven by pioneers who can assess and engage opportunities that target previously overlooked business models. In addition to Tenke, speakers included: Hans-Paul Bürkner, Chairman, The Boston Consulting Group, Germany; Astrid Tuminez, Regional Director, Microsoft, Philippines; Irene Natividad, President, Global Summit of Women, USA; Jane Dudman, Editor, The Guardian, UK (moderator). The goal of TIGE is to explore how humanity can be brought into business, to address people’s needs, create jobs and wealth in an equal and sustainable manner. The focus will be on new economic models that are transforming society and empowering people. As an invited guest, Tenke will be taking part in the EPIC workstream, the programme for next generation "Entrepreneurs, Pathfinders, Innovators and Changemakers." Better Finance Founder Tenke Zoltani was invited to be a panelist for the highly anticipated impact investing session on Thursday morning at Opal Financial Group's Family Office Forum in Geneva. Speaking from a practitioner's point of view, Tenke explained how to access opportunities in the sector as the market has evolved over the past several years, she highlighted some of the challenges, and offered advice on best practices and resources. The panel also featured Susanne Bregy of Rhodanus Capital, Paul van Aalst of SOVEC African investment fund, and was moderated by journalist and financier Tom Minney. This year Tenke Zoltani was asked to moderate the panel "Co-Investing: How to Make It Work?" alongside panelists: Johannes Weber, Founder & Managing Partner at Social Venture Fund; Deirdre Davies, Director at Deutsche Bank Private Equity & Private Markets; and Olivier Lafourcade, Chairman at Investisseurs & Partenaires. The session tied together themes imperative to growing the impact investing space. Co-investing offers a lot of potential – as it mobilises more resources. But it also brings more voices and potentially different expectations around the table. Is the value of co-investing then over-rated? Or are the barriers over-estimated? This session will dig deeper into what works, and what doesn’t work in co-investing. The EVPA is a membership association made up of organisations interested in or practicing venture philanthropy and social investment across Europe. Established in 2004, the association aims to be the home as well as the highest-value catalytic network of European social investors, venture philanthropists and foundations committed to using venture philanthropy and social investment tools to target societal impact. This month Better Finance was honored to write a piece featured in Beauty and the Bull. The article, Departing from Traditional Investing, a Foray into SRI and Impact gave readers insight into sustainable investing to answer the question, if 20% of global assets are said to be managed with ESG considerations, where does that leave the other 80% of our assets? 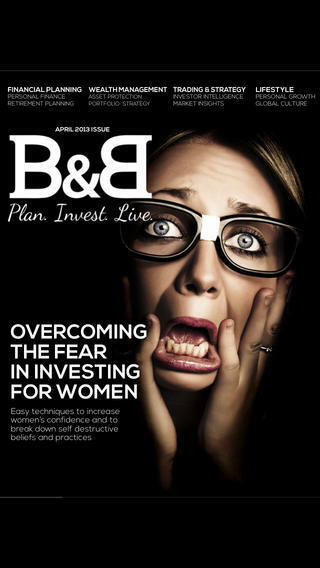 Beauty and the Bull is a financial magazine for women and by women and includes investor intelligence, expert advice and resources exclusively from leading women advisors and investment managers. Selected as a Global Economic Symposium Fellow for 2013, Tenke Zoltani participated in this year's summit in Kiel, Germany from Sept 30-Oct 30. Collaborating with other senior executives in a private impact investing breakfast, Better Finance offered solutions to channeling capital into the sector and developing the concepts and uptake of strategic philanthropy. For a downloadable version of our paper "Stimulating the entrepreneurs’ economy with private (impactful) equity" click here. About the GES: The Global Economic Symposium (GES) is meant to give a new impetus to global problem-solving. Our world has become increasingly interdependent and its problems—climate change, financial crisis, failed states, vicious cycles of poverty, educational deficits, unsustainable energy demands, water management and many more—are interdependent as well. These problems can only be addressed through global cooperation. The GES is a symposium for solutions, and catalyses the thinking leading to their implementation. Giving Women’s third Annual Conference took place on Tuesday, 24 September 2013 at the hotel Mandarin Oriental in Geneva on the theme of The Empowerment of Women through Technology. Disadvantaged women globally face insurmountable challenges in their daily lives. It is the mission of Giving Women to ensure that such women are empowered to reach their full potential and positively impact their families and communities. Innovative use of technology has been effective in lifting the many roadblocks to women’s empowerment. The workshop led by Elianna Moquette and Tenke Zoltani centred on successful evaluation, due diligence and monitoring of a social enterprise supported by Giving Women, 'Women on Wheels' in Delhi.